Carnegie: Magic Detective: HOUDINI ARRESTED!!!! I'm amazed at the number of newspaper articles which have used Houdini's name in the headline referring to some criminal. 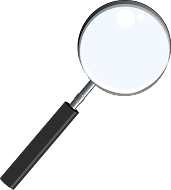 Usually, it refers to someone who got away from the police. In February of 1907, in the Pawtucket Times Newspaper, an article appeared that at first glance I assumed was this same sort of thing. But I went back and read it and to my surprise, it was about Houdini being arrested. Providence. 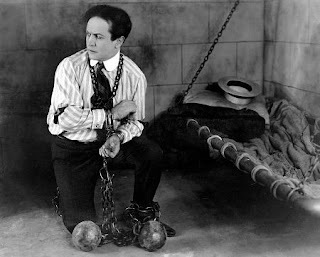 Feb 11-Houdini, the handcuff king was arrested Saturday afternoon on a charge of assault brought by a local hotel clerk. The clerk alleges that he challenged Houdini to a test of skill and that he was assaulted by the great attraction at Keith's. Bonds were placed at $3000, which were furnished by Manager Lovenberg of the theatre. This is a frustrating piece of news. Not because Houdini was arrested, but because I could find no newspaper report which gave a follow-up. It also looks like it happened at the end of his run in Rhode Island and on the day when Houdini was about to travel to Boston for a weeks worth of shows. There is no mention of it anywhere that I can locate. Perhaps, the charges were dropped, who knows? The arrest didn't stop Houdini from performing in Providence as he was back in 1911 at Keith's. Anyone with details of what happened following the arrest, please let me know so I can add it to the story. 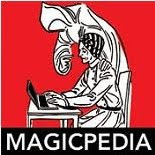 Houdini was publishing his Conjurers' Monthly Magazine ( http://www.geniimagazine.com/magicpedia/Conjurers%27_Monthly_Magazine ) during this time. I quickly looked through some issue after that month but didn't see any mention of this event. The charges must have been dropped. Thanks Joe.